There aren’t many of us who can – or who would wish to – leave windows undressed. After all, who wants to be on show to the neighbourhood and miss the opportunity to add a stylish touch to their home? Now, we all know that you could choose curtains or blinds as a window treatment, but (and we may be biased but it’s also true) hanging window shutters has a whole list of benefits including their undoubted good looks from inside the room and from the street, and ease of cleaning. Once you’ve narrowed it down to wood shutters, though, why would you opt for solid shutters rather than louvred designs? Well, there are plenty of situations where solid shutters will prove the perfect solution as a window treatment. Period homes and solid shutters are a happy pairing. If your house has history, whether it’s a few hundred years old or from the 18th or 19th centuries, solid shutters probably did the job of keeping the weather out and the warmth in. Victorian homes look beautifully dressed with shutters at their handsome windows, too. Solid wood shutters will keep rooms dark when they need to be. An early summer dawn won’t help the kids stay in bed until a sensible time, and it’s hard to settle them on long light evenings. With solid shutters, you can shut the daylight out effectively. Street light right outside other bedroom windows? Most of us appreciate the opportunity to keep the orange glow out of our homes, making solid shutters a fabulous window treatment for all bedrooms. Wood shutters can stop the heat leaking out, which will benefit your bank balance as you won’t need to turn up the thermostat to keep rooms at a comfortable temperature. 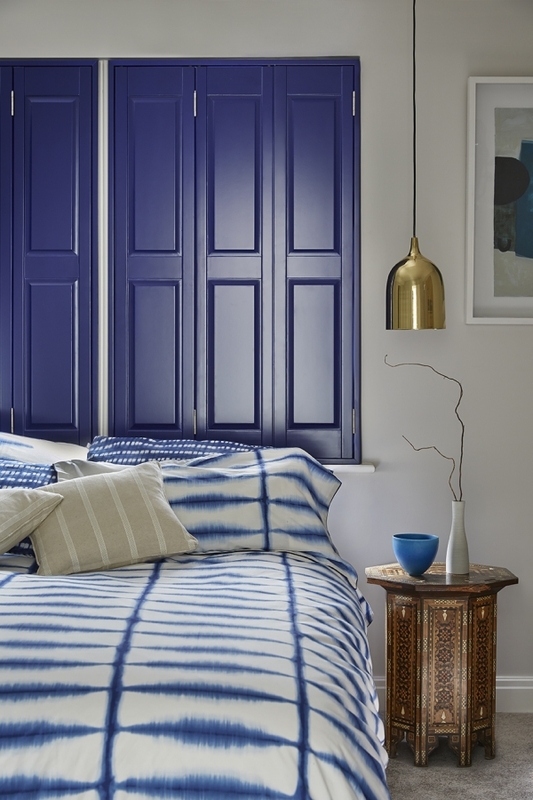 Close your solid shutters when dusk falls and you’ll stay cosy. Shutters make for a better view than black night. You’ve opened your house to the garden with French windows or another large run of glass. During the day, you get the benefit of the view. At night, though, all you see is a big block of blackness. Team solid shutters with our special track and you can shut out the night, then glide them aside in the daytime. You can divide rooms with solid shutters. Open-plan might be just what you’re after, but even the biggest fans might like to be able to separate out the spaces sometimes – when the family have separate activities going on, or maybe to create a more intimate feel when you’re gathered at the dining table. Solid shutters on a track make the perfect room divider and you can make a fantastic feature of them with colour, if you like. Solid shutters suit contemporary and traditional interiors. They might be historical window treatments, but solid shutters work with modern interiors, too, because they’re sleek and fuss-free. 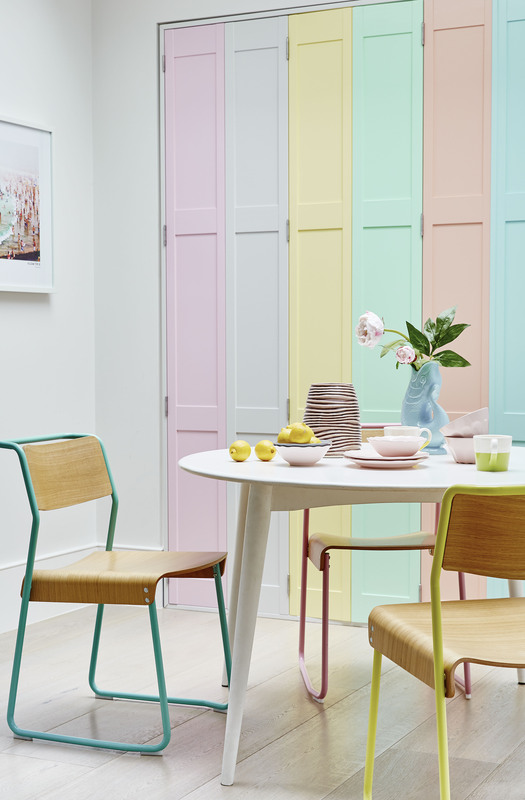 The colour you choose for yours can help link it to any style of room scheme – and we’ll match to any shade you love. If street noise is a problem, solid shutters can help. Traffic can be amazingly intrusive, but shutters can be an effective way to help keep the constant hum out and your interiors more peaceful. Solid shutters boost security. Close them when you’re away and you’ll ensure your valuables aren’t catching the eye of an intruder. Equally, an additional layer of difficulty encourages potential burglars to pass on by. Want to find out more about solid shutters?